The art of advertising has been around for a long time to get you to want to buy goods so you can show off your wealth (or sometimes the lack thereof). Through the Internet and the want to not own or need everything, goods and services can be rented. When one thinks of renting they usually think about apartments and it isn’t always favorable. Did you know that you could actually save money while renting things? Here are a few things you can rent to save money. 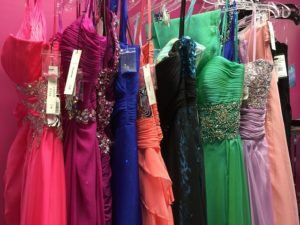 If you have multiple weddings to go to this summer and don’t want to purchase a different dress for each one, try renting them instead. Online rental websites, such as Rent the Runway, provide a selection of trendy or designer fashions. The prices are decent too, much cheaper than buying several dresses to wear for only one night. Instead of dropping several hundred dollars on a gown you may not wear again, you could find a similar look for less and send it back the next day. Not to mention the cost of cleaning and storing your only-worn-once dress. There are many rental websites available to fit your budget. If you are throwing your parents a 50th wedding anniversary celebration, chances are that occasion won’t come around again. 😉 So, you’ll want to bring out the best. Instead of purchasing tables and chairs, linens and décor, you can go to a party rental place and rent everything you need. Most times you don’t even have to wash the linens, the company will do that for you. You just return them, no mess and no fuss for you. Car rentals can get pricey depending on what type of car you get, how long you need it, and how much gas you will be using. But, if you are going on a long road trip, it can be cheaper in the long run to rent a vehicle than to drive your own. This comes out in the cost of mileage put on your car. Also, if you are going out on an expedition and need a larger or more powerful, vehicle renting one is definitely cheaper than buying one you won’t need the rest of the time. If you live in a large city where public and private modes of transportation are readily available it probably isn’t worth the money to own a car at all. Online car pickups such as Uber and Lyft can bring you transport at the touch of your finger. The small charge to go downtown is cheaper than if you had to make a car payment, pay insurance, maintenance, gas and parking fees. Plus, you’ll save time not having to find parking. There are many more things such as camping equipment, canoes, yard equipment and more that if you don’t have a continuous need for them, it’s cheaper to rent it for the day than to buy one. Be sure to note the condition you rented it in and how you returned it, because if you break it… well you know. What things have you rented that saved you money? How much did you save?